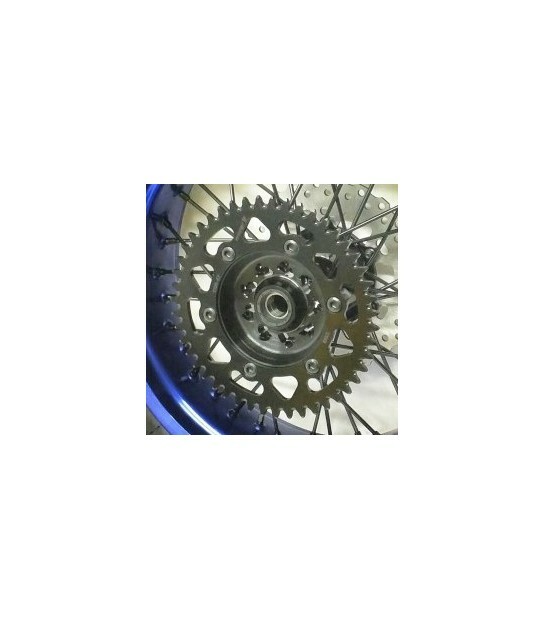 Warp 9 sprockets for common MX bikes. They come in aluminum and steel, depending on the size range. 40-44 are black steel and 47-53 are black anodized aluminum. These are sprockets meant for Warp 9 wheels that don't use the original bolt pattern from the bike.